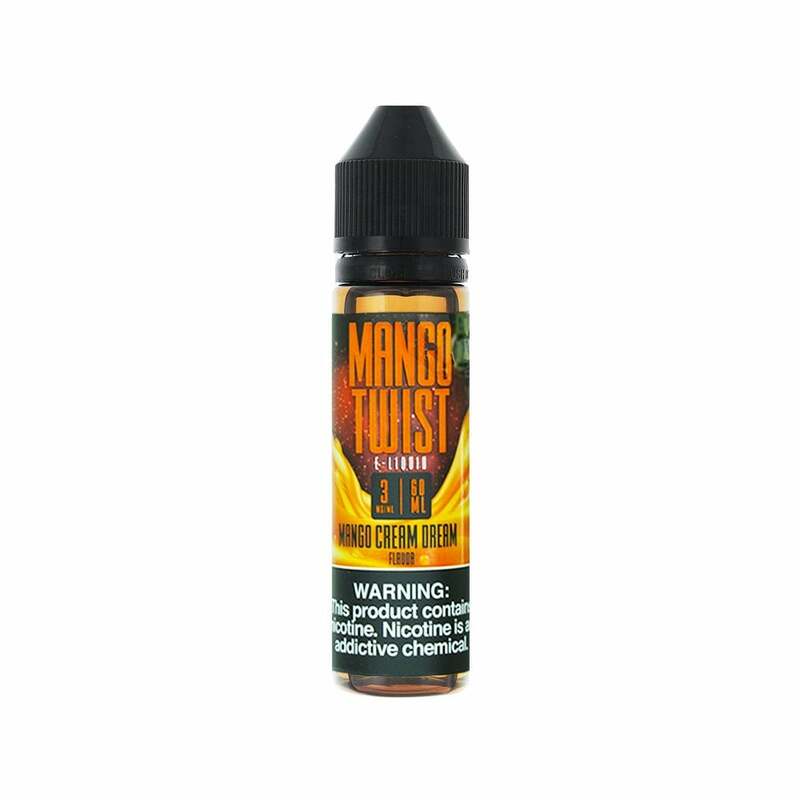 Twist E-Liquids latest creation is their Mango Cream Dream, a truly dreamy vape juice that will make any mango maniac think they've died and gone to heaven. Creamy and delectable, this juice is a dream come true, and is available in multiple nicotine strengths; 6mg (0.6% nicotine), 3mg (0.3% nicotine) and 0mg (nicotine-free). Juice smelled nice at first but the exhale tastes so nasty I thought something was wrong with the juice. Very happy with this juice! I was not expecting it to be this good and become one of my favorites. It has a sweet, creamy, mango flavor that does well with all of my tanks and coil’s. This is in my top three favorite juices now. This ejuice is very smooth and tasty! Love the sweetness of the mango and the smoothness of the cream. Excellent ejuice. I will definitely be ordering more in the near future! Love this flavor!! Just bought more for my wife.